I HEAR THE TRAIN WHISTLE BLOWIN'!!! Y'all get ready cuz I am hearin' the train whistle blowin' already!!! The February DST, *Forever Mine*, Blog Train will be pulling out of Digi Shop Talk at EXACTLY 12:00 pm EST tomorrow afternoon! I will be posting a preview of my contribution, along with my download link and then the link to the next STOP after me, as well as the link to the February DST, *Forever Mine*, Blog Train blog where you will see the entire list of the OVER 50 participating designers!!! I'm telling you, there are LOTS of GORGEOUS goodies on this train! You won't want to miss a single stop! Are you ready??? ALL ABOARD! Toot, toot!!! I'm really, REALLY trying to focus on what is at hand, but I've been SO distracted it is hard for me to get back into the groove (how retro is that, eh? 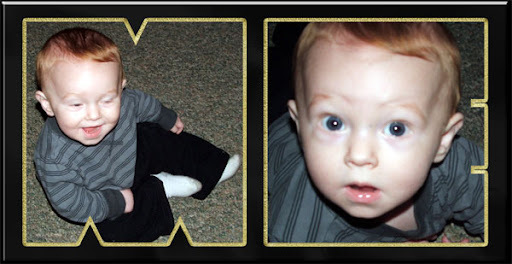 *smile*), so I took a break and did something with Kaleb's "ME" frame! P.S. Sharon and Sheila, I am with you both! While the gang is HOOPIN' and a HOLLERIN', I'll be here in my room working on my store and blog train, both of which debut tomorrow. Although, due to being behind from the computer issues, I will probably postpone my GO until mid-month so I can have some inventory! LOL! I, too, will take in the half-time festivities as it will make for a nice break for me as well! ENJOY! 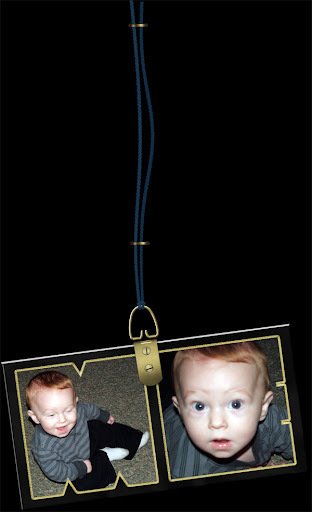 Kaleb aka Baby Jace "hanging" around at Grandmas's house! ALL ABOUT ME!!! YOU'VE BEEN FRAMED ... AGAIN! Wishing you all a FABULOUS weekend whatever you have planned or not! Relax, enjoy your families or peace and quite and "keep on scrappin'"!!! inside of their SWEET little heads and know what they are thinking at times? I do! HOW DO YOU SPELL DISTRACTIONS??? Just letting y'all know that my day has been crazy and PS has not seen me yet and I am on my way in now to get your goody ready for today! I hope that everyone is looking forward to a FUN and RELAXING weekend! Oh, wait, how many are watching the Super Bowl?????? How MANY of you are actually "attending" the Super Bowl??????? No matter, it's gonna be a WILD WEEKEND for sure! There will be A LOT of HOOPIN' and a HOLLERIN' here at my house! I've got my earphones ready!!! LOL! Just kidding! I LOVE to hear the guys getting all excited! Not often we have a group together and even less often that they are heard getting a little bit crazy! Okay .... A LOT CRAZY! ROFL! 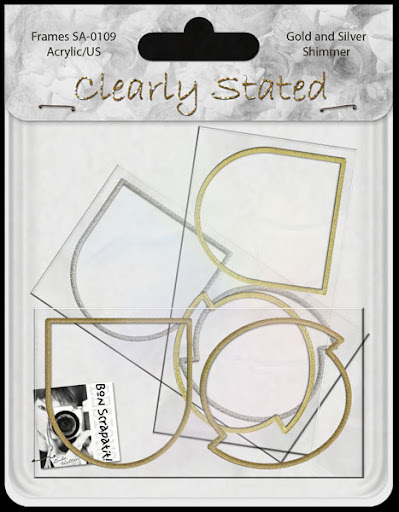 I will be back in a bit with some *Acrylic Frames* that will do well for your ALL ABOUT ME pages or any layout that is about a VERY special someone in your life! I started my day with a LOVELY voice chat with Vicki - A Work in Progress as she was awaiting the shuttle to take her from her hotel to LAX for her return trip home to England! We had a GRAND time as I got to hear much about her adventures at CHA and she has LOTS of photos to share with us when she is home and settled! I can't wait! I began to work on a preview for *Love Me Tender* as it is going into my new store and the phone rang. I looked at the area code and thought it was one of Robert's sisters and I hear a male voice on the other end as he asks for Linda! Who is calling I asked? OMGosh!!! I could hardly believe it! I was speaking with a first cousin, once-removed (he explained all of this to me and I need to study it out so that I REALLY get it!) for the first time in his 51-years of life and my almost 55!!! I shall have to catch you all up, but I spent most of Wednesday night on the phone with my baby brother who had already spoken with Gary and then I spent over two hours on the phone with Gary this evening and then my brother again. I was sitting at the dining room table and realized that I had covered it with all of my findings when I had started researching my father's side of the family five years ago. I've seen photos of my great-grandparents for the first time and we MAY possibly now have the correct spelling of our surname. I still need to send over to England for some documentation to help verify some of the new information I have received as there seems to have been some misunderstanding as to where my grandmother was born. I grew up believing she was born in London, England and am now finding out that BOTH she and my grandfather were born in Poland! The surname changed when my grandfather immigrated to England and I'm believing this was sometime during the Industrial Revolution when many Europeans were looking for a better way of life. I shall be doing more research into this as well! 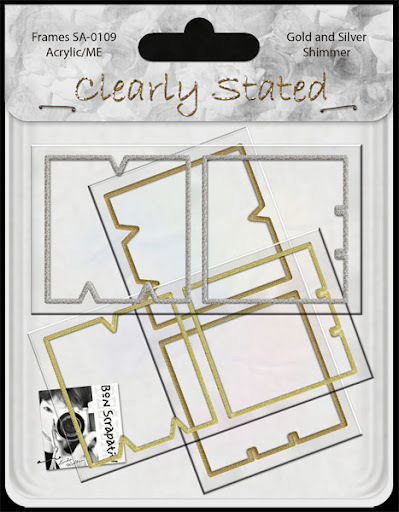 Okay, enough of that, I am just SO excited but need to put my focus back into my designing and store preparations as well as returning later in the morning to give you the next set of acrylic frames! My dear friend, Carole has some LOVELY Valentine's cards to share with us and I will be giving those out next week. 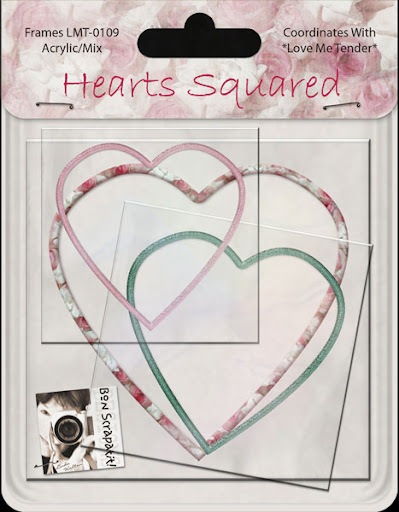 Carole made these from my *Love Me Tender* scrapkit and they are BEAUTIFUL! Thank you Carole! 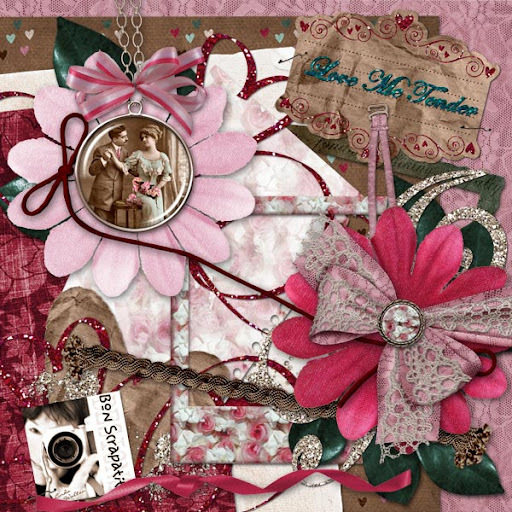 My BFF, Snowsmoon's Design has an AWESOME *Romantic Heritage* scrapkit for FREE this week and she has just posted the elements and TWO coordinating alphas! Scroll down to collect the LOVELY papers! 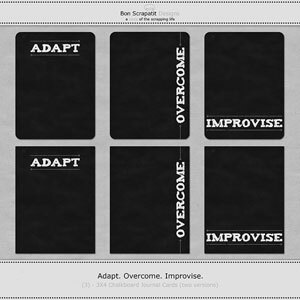 Click on the preview below to download from her blog and please leave her some WARM Scrapland lovin'!!! I just LOVE the greens and browns in this generous versatile treat!!! I'm off to LA-LA-LAND and I'll see you later on with my goody for y'all! SCRAP HAPPY! P.S. GRANNY 201 - The font used for my journaling on the US frame is - Leaf Queen Script, a free download. You should be able to GOOGLE it and find where to download from. I've had it for quite a long time now and don't recall offhand which site I found it on. Hope that helps! I CAN NOW "CLEARLY" SEE YOU, ME AND US - OH, AND SOME GOODIES! Hi y'all!!! OMGoodness! You ever been in such HIGH gear that you speak backwards, type backwards and nearly seem to be walking backwards? ROFL! Well, that be ME this week! HA! My mind gets to going SO fast and in SO many directions that I can easily jumble my words, start walking in one direction and then abruptly do an about face! LOL! I kid you not! Uh, uh ..... let me see .... oh, no, WAIT, I forgot, I need to take care of this first! All kidding aside, I don't think I've ever been in a position to allow myself to be pulled in SO many different directions at one time (oooops, one moment, the stove timer is beeping at me, he, he ...) and when working on a project of ANY kind, I get SO locked into what I'm doing that I seem to lose track of everything else! Okay, that is my confession for the day!!! Anybody else share my plight??? If so, anything special you do to help keep yourself grounded? I'm ALL ears! I do make myself a list, but I'm referring more to the spontaneous events of our day. I've started a new little series in the *Clearly Stated* series of Acrylic Frames - YOU, ME and US! 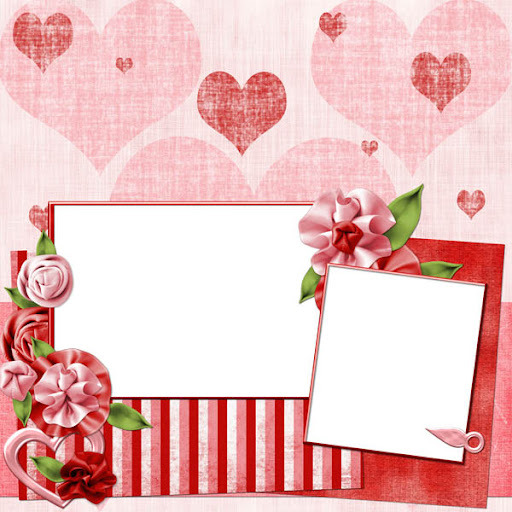 These go along nicely with LOVE I think and you can mix and match them or just use one as the "focal" point of your layout! Today's goody is for "US"! ENJOY and I'll be back tomorrow with "ME and then on Friday with "YOU"! Hope everyone is having a GOOD week thus far and Vicki love, I am SOOOOO happy that you are getting to see some California sunshine during your stay!!! I am also VERY excited about your meeting with Sarah Cabana of I Am Simply Sarah tomorrow!!! I can't wait to see photos!!! WOO HOO!!! 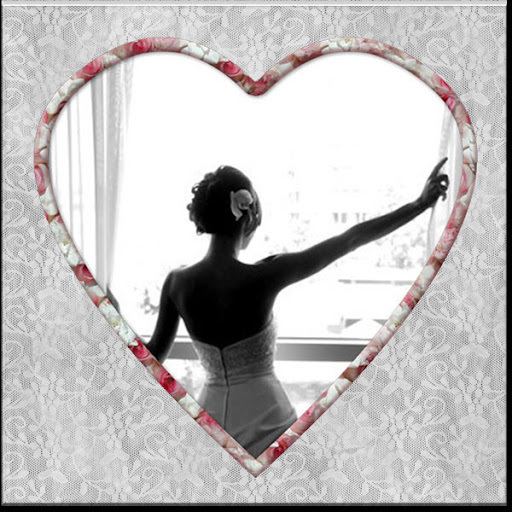 Oh, if you are need of some scrapping inspiration, check out Sarah's blog! She is am AMAZING layout artist and the designers that she is currently CT-ing for are VERY blessed to have her on their team! BEWARE OF TRAIN ... I MEAN TRAINS!!! Just stopping off to give y'all a HEAD'S UP on two upcoming BLOG TRAINS that I will be taking part in come February 1st! WOO HOOOOOOOO!!! What a way to kick-off a NEW month and my NEW adventures in Scrapland! I AM SOOOOO excited! I will be posting info here in the next few days as to how to go about boarding these MIGHTY supersonic TECHNO trains and stopping off at some INCREDIBLE places about SCRAPLAND to collect some AMAZING goodies!!! And how do we spell storage??? E - H - D!!! The most used three-letter acronym in our neck of the woods, eh? ROFL! Be back later with a goody for y'all! P.S. Thank you again for ALL of the INCREDIBLE well-wishes and "wipe that baby clean" advice!!! I just SO love you guys!!! MWAH! A GIFT OF *LOVE* FOR Y'ALL IN CELEBRATION OF MY SON'S BIRTHDAY! I'm stopping in to leave you the gift I mentioned last night while sharing my CELEBRATION of data recovery! THANK YOU, THANK YOU and THANK YOU for your awesome input on erasing my data before sending back to Dell. To Kathy's DH and Kori, thank you for leaving me links and I guess Dell will just have to wait a WEE bit longer as I will not have time to tackle this feat until the weekend!!! I just LOVE you guys!!! You are ALWAYS right there when I need some info and that just does THIS heart a world of good! MWAH! My number two son, Mark, Kaleb's daddy, is 23-years-old today! I awoke this morning and immediately reminisced SUPER BOWL SUNDAY in 1986 when I had back-to-back contractions during the 45-minute drive from our home in Santa Clara to Stanford Hospital, where I arrived FULLY dilated and ready to push!!! Only, due to my OB busy watching the game with friends, I had to wait TWENTY long minutes for him to arrive and I gave birth in my street clothes!!! ROFL! Needless to say, a quick and smooth experience for both mother and son! Mark weighed in at 6 pounds, 10 ounces and a tad bit over 19 inches in length! A PERFECT-sized bundle of JOY! I LOVE YOU SON! Anyhoo, my baby boy had to work today and I just had to call him FIRST thing to wish him a HAPPY DAY and to reminisce his birth with him. 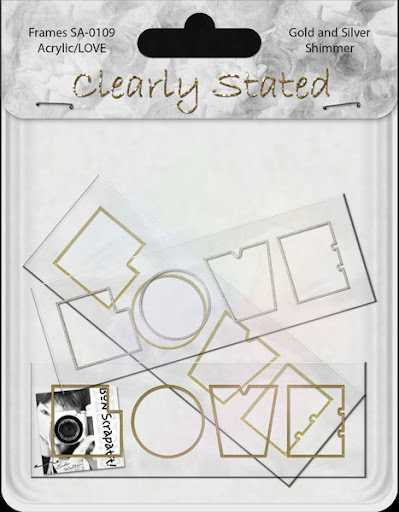 YOUR gift today is a set of *Clearly Stated* - LOVE acrylic frames in Silver, Gold and a Light Gold shimmer! I hope you enjoy them as much as I did creating them and then showcasing some Christmas photos from my "data recovery" last night as a SPECIAL gift for Mark! Have a GLORIOUS day everyone and I'll see you soon! sons present but Luke, along with Robert's two youngest boys, Wyatt and Garret! Photo #1 - Jessica with her SWEET baby Jace, who is playing Robert's congas! Photo #2 - Grandma's baby boy sitting pretty! Photo #3 - Kaleb opening his Christmas gift from Grandma and Papa! have the opportunity to have SO many together at the same time! CLICK HERE TO DOWNLOAD TODAY'S GIFT! UPDATE ON DATA RECOVERY! IT'S TIME FOR A CELEBRATION! WAHOOOOOOOOOOOOOOOOOOOOOOOOOOOO!!! This girl is doin' a HAP, HAPPY DANCE y'all!!! Data being recovered from BAD sectors - YAY! Sweet dreams SCRAPLAND - I am off to do some HEAVY-DUTY "maddoggin' it" as I call it! I shall be back with a little something for y'all tomorrow! After all of my "hard" work today, I am treating myself to some online shopping, CU-style before I get down to business!!! Have a FANTABULOUS week ahead everyone!!! P.S. QUESTION - I've probably answered my own question, however, I'd like to hear what you all think about my reformatting the "failed" hard drive before I return it to Dell. I'm thinking that I'd rather not be sending them a hard drive with retrievable "personal" files on it. What do y'all think? Thank you in advance! MWAH! HAVE YOU EVER BEEN "BEHIND 'ER"??? NO, I don't mean the lady in front of you at the super market!!! I mean - BEHIND 'ER??? You know, like what appears to be "slackin'" BIG TIME!!! LOL! Well, this week, which has not even begun quite yet, that would BE me!!! LOL! Just had to drop in to let y'all know that as I type, my personal files from the "failed" hard drive from my NEW computer are now being transferred to the new EHD that I hooked up earlier this afternoon. This process should take approximately another two hours to complete, at which time I can validate that they are ACTUALLY there and then ACTUALLY get my behind out of this computer chair and do one WHOPPIN' HAPPY DANCE!!! Now, this final process has come rather painstakingly and as follows: I've been feeling rather light-headed the past two days and really did NOT wish to undergo the process of data recovery today, however, lest I become even MORE "behind 'er" than I currently am due to PC issues, I psyched myself up for the BIG event and invited Robert to be of assistance and he generously obliged me and put the "failed" hard drive into the external enclosure while I worked the EHD, connected and formatted it in preparation to receive any files recovered from aforementioned "failed" hard drive! PHEW! That was a LONG sentence!!! LOL! I was ALMOST in tears I was SO frustrated and it takes A LOT to get me to that point, but this was ONLY because I just was NOT feeling well and TOTALLY without energy at this point! I went into the living room to get Robert so he could see what I was up against and, bless his heart, he thought I was referring to the "failed" hard drive in the external enlosure! NO babe, my NEW computer! Look at it, it won't boot up Windows! Long story short, I am on the phone once again with a Dell tech and after explaining to him the trouble, he guarantees me, NO problem, I can fix this for you! WOO HOO, let's GO! The Dell tech asks me to disconnect EVERYTHING from the computer and then to push and hold the POWER button in for 30 seconds. CHECK! Now, connect ONLY the basics, power cord, key board, mouse and monitor. Turn on. When you see Dell logo, press F2! CHECK! He has me go in and disable USB Controller, save change to CMOS, computer reboots itself. OS boots, YAY! But wait! It cannot be SO simple now can it? Of course not! Now the keyboard is not working! Back to square one. OH, DOH! We have disabled the USB Controller and the keyboard is, in fact, USB!!! So, he has me go back in and ENABLE the USB Controller and informs me that to avoid this problem in the future, I shall have to disconnect ALL external drives as the computer is trying to boot up the OS off of the external and it cannot find it!!! Gee, no kidding! Okay, SO out of all of this I have again learned something new and I am thankful for the "painstaking" portions as there is ALWAYS something to learn! Now, my question to my LOVELY, DARLING digi-sisters/brothers is this, do any of you know what I would need to change in DOS to get my computer to ALWAYS boot from the internal hard drive? 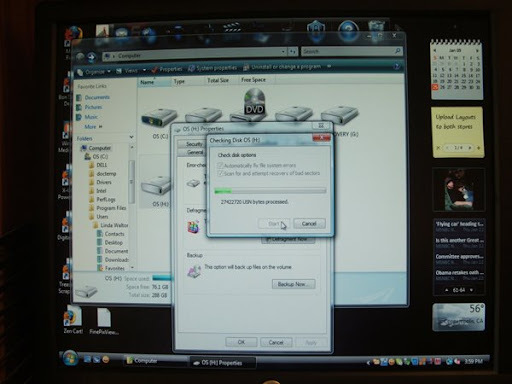 It just does NOT make any sense to me that I shall have to FOREVER disconnect my new EHD from the back of the computer each time I shut down or reboot! HELP! Is this a Vista issue? According to the tech, no, it is the computer! Next up is the process of data recovery. I connected both the EHD and the external enclosure housing the "failed" drive and both was immediately recognized by the OS, YES! I clicked on the drive and LO and BEHOLD, there were ALL of the files!!! WOO HOO! Well, almost WOO HOO. When I hovered the mouse over the USER folder, which is where all of my personal files would be, it showed "O bytes". I let out a gentle sigh and tried to open the program files folder. It hung up, so I shut it all down and tried again. This time I right-clicked on the drive's icon, then on "properties" and then on "tools". The first item up was "error-checking"! Okay, let's see what is wrong in here! I ticked both "automatically fix file system errors" and "scan for and attempt recovery of bad sectors". It took a little over an hour I believe and when finished, I went back into the drive to see if I could find the FOUND folder it told me they would be in. No, no FOUND folder, but this time while hovering over the USER file folder, it showed the 135 GB's that I had put in there! I clicked on it and I had to click again to get permission to get into my own files, HA, HA, but I got in!!! Without messing around, I right-clicked on my DOCUMENTS file and clicked SEND TO and chose the new EHD! So, here I sit typing to y'all and still have about an hour and a half for the transfer to be completed! Well, enough of my rambling, but I just HAD to share the results of my BIG techy day today!!! I also hope that the steps I've been through just might be of some help to another if ever faced with a similar situation, God forbid! I would like to thank y'all once again for ALL of your input, shares and advice on retrieving the data from the "failed" drive. I immediately opted for what I thought to be the "easiest" and most ecnomical route for me and when all is said and done, I shall have recovered my own data for under $30! Not a bad deal, eh? Y'all are MOST definitely THE BESTEST!!! MWAH! I shall return as soon as the data has finished transferring to share my HAPPY DANCIN' with y'all so that we can make this declaration "bona fide"!!! ONE CAN NEVER HAVE TOO MANY HEARTS OR FRAMES, EH? I will NOT tell you that I did not go to bed until after the sun rose this morning, but I will tell you that I accomplished my mission and while this week may get a wee bit hairy, it shall surely be worth it come time to step back and relax a bit! Robert has thoroughly enjoyed his day of leisure and is, at this moment, across from me reading and learning even more about his job! One day when I have a bit more time without a time element looming over me, I shall explain to you WHY I am SO very proud of Robert and all that he has accomplished these past few years! Talk about new beginnings - WOO HOO! My sweet baby boy, Kaleb Jace, took his first steps this past Tuesday I believe it was! NO!!! He cannot walk yet! ROFL! Kaleb is now 9-1/2 months and during his last visit right after Christmas, I just knew he'd be walking before our next visit as he was crawling at a fast pace and pulling himself right up on his mommy and daddy! I miss him and need to see if Jessica has new photos up on her My Space that I can snag and share! I am having fun getting myself all set up with family and friends over on Facebook and just as soon as I'm a bit more settled, I will post a link here so if any of you wish to come and visit me and get to know my family a little better, I will invite you in! I NEVER thought I'd spend much time there, but since my mom has managed to gather a HUGE lot of my family and I am posting my designs too, it is turning into a rather nice spot to hang out in several times a day to see what everyone is up to! WAY cool. Out of my six children, I now have FOUR of them connected and the other two simply need some computer time to get their's set up! 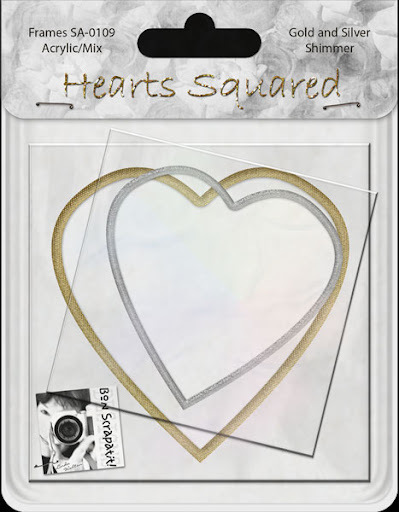 I have a couple more "hearts squared" for you. A shimmering silver and gold! These, of course, can go with just about ANY thing you can think of for an elegant to a dressed-up casual look! I hope to find everyone enjoying their weekend. I will be trying to recover the data from my failed hard drive THIS weekend so keep your fingers and toes crossed for me!!! MWAH! See you later gators! REMEMBER: It is SCRAP HAPPY HOUR 24/7 here in SCRAPLAND! P.S. I am finishing up a couple of samples so that you can see the frames up close and not distorted by the packaging. I will post them shortly! Joan being escorted down the aisle by her Uncle Wes! LOL! I don't say that too much any more as I'm giving freebies most every day, but could not resist as I am actually posting EARLY today and it IS Friday!!! WOO HOO! I wanted to drop these off for you lest I forget as I am going to be a BUSY, BUSY girl all the way through the night tonight and all of next week! They also coordinate with *Love Me Tender*! Add your OWN special touches to make them yours and to add some EXTRA love to your layouts or photo books! Add jewels, brads, flowers, cluster them or HANG them with ribbons, strings and/or bows! BE creative and ENJOY! I would LOVE to see what you do with them by your adding them to the guest book! 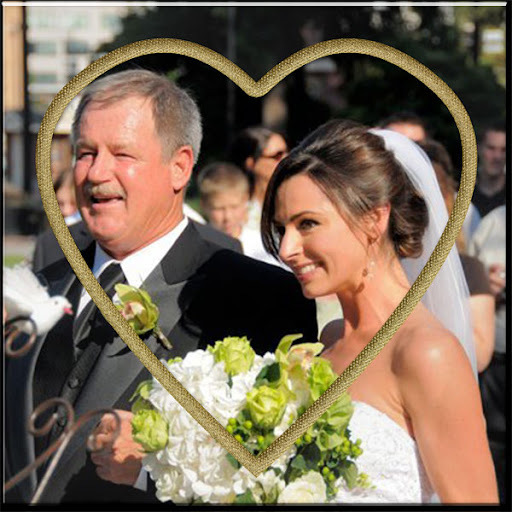 Thank you to those of you who have e-mailed layouts, they are GORGEOUS, but I would LOVE it if you would also add them to the GUESTBOOK below for ALL to see and to be INSPIRED by!!! MWAH! I shall try to post some here as time allows! I am SO excited and I hope y'all are too! HELLO VICKI! We can't wait to hear all about your BIG adventures in Anaheim at the Winter CHA convention!!! WOO HOO! Wishing you loads of FUN love and WONDERFUL new discoveries! I shall see you LOVELIES back over the weekend for some more treats! I know y'all can just SEE right through me now, can't you? ROFL! to walk down the aisle to become Mrs. Travis Uhlig! One of my faves! RECALL! I GAVE Y'ALL A VERY BAD *HANG UP*! I am SOOOOO glad that I caught this into under 200 downloads y'all and I SO apologize to those who have already downloaded and will need to toss the previous file and re-download. I was just finishing up the goody for tomorrow and that is when I noticed that the rose outline and the acrylic is not lined up properly - ACK! I'm usually very good about checking and double-checking for stray pixels and/or things not being lined up properly and somehow I either missed this entirely or I moved something without knowing I did! No matter, I've given you a VERY "bad" hang up of mine and I feel SO awful for doing so! PLEASE GO BACK TO THE PREVIOUS POST TO DOWNLOAD AGAIN. I HAVE REUPLOADED AND THE LINK IS NEW. Sorry for the inconvenience and you should find the replacement as it should be. Have a FANTABULOUS FRIDAY y'all! GOT HANG UPS??? I DO AND I AM SHARING ONE WITH Y'ALL! So, without further ado, my VERY first HANG UP revealed before ALL of SCRAPLAND!!! ROFL! NO, you don't have to close your eyes, it is REALLY, REALLY a rather LOVELY sight if I do say so myself!!! Simple elegance as I often refer to it - sort of a "dressed up" casual if you will! It has been created to coordinate with *Love Me Tender*. Thank you ALL so VERY much for LOVING ME TENDER!!! I am TOTALLY overwhelmed by the response and something tells me I may have a VERY difficult time "outdoing" myself on this one according to y'all!!! ROFL! You may not be hearing much from me the next week as I prepare to open my store(s). With my restoration just about wrapped up, I shall finally be able to gather things together to make previews and package up a few scrapkits to start with and then I shall be working (finally, WOO HOO!) on some NEW things to add to my stock as quickly as possible!!! And, YES, you will still be seeing PLENTY of freebies from me! Are we having FUN yet, OR what??? I am!!! Thanks to y'all!!! MWAH! *LOVE ME TENDER* SCRAPATIT BY SNOWSMOON'S DESIGN!!! Morning all! Well, it's actually afternoon, however, my body decided to sleep in today! I suppose it was all of the excitement from yesterday and relishing in the thought of being a Grandma again! 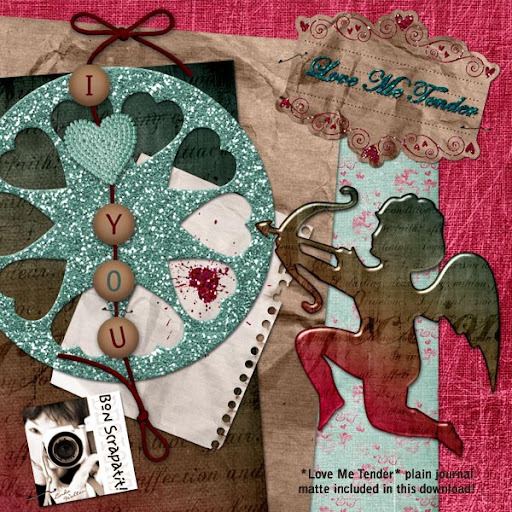 Anyhoo, I wish to send you over to my BFF, Dawn Mill's blog to see the LOVELY "scrapatit" she has created using *Love Me Tender*. She has created a VERY special treasure for her family album by using it to preserve a PRICELESS photo of her BEAUTIFUL Granddaughter, Brittany!!! How MANY of us have daughters that LOVE to be glamorous, making themselves feel ALL grown up? You'll LOVE Dawn's layout with one of the many "self-portraits" taken by her granddaughter! Takes me back some years with my own girls!!! Please make sure to leave Dawn some love for her WONDERFUL creativity as well as her generosity in sharing with us! Thank you girlfriend, you ROCK! I shall be back later with a little something for you to add to your *Love Me Tender* collection! Have a SWEET afternoon everyone! A DAY OF CELEBRATIONS AND A FREEBIE FROM MY DEAR FRIEND, MONNA LAINSON! Yes, I actually snapped photos ALL morning long hoping to come up with a few good ones to scrap of this historical day, however, after downloading all 500+ of them (you think that count is accurate? hmmmm ....), I found a spot of glare on just about every one of them! DRATS! Guess I'll have to use the ones taken by the professionals after all. I suppose that is kosher since they will be for my own personal use, eh? I closed blinds, turned off lights and anything else I could think of to stop any glare from showing up, however, I surely missed something!!! LOL! I'm almost afraid to disappoint myself by downloading the second card full!!! OMGosh, they simply did NOT make televisions for us to point our cameras at, or am I missing something??? Anyone here in SCRAPLAND ever taken CLEAR photographs of something/someone on television? Would you PLEASE share your secret if you have??? Pretty please! I took photos of the last winter Olympics and had the same trouble. I did end up scrapping one photo, but did a LOT of photo manipulation to make it doable! Okay, SO, I celebrated the swearing in of our NEW president and then when I did not think the day could possibly get ANY better, I get a phone call from April, daughter number one, telling me to go to my Facebook to see some photos that she had just uploaded. So, like a GOOD Mama, I scurry right on over there and get horribly LOST! Yes, I have just invited all of my children to Facebook since my mother has gathered all seven of her children and is working on gathering nearly all 30 of her grandchildren as well as nieces, nephews and close family friends! I mean, come on, if my 81-year-old mother can maneuver Facebook with relative ease, then I suppose that leaves me without an excuse for joining in, right? ROFL! Uh, huh! I will post my the link to my Facebook as soon as figure out where to find one of their widgets! So, I log into Facebook and am immediately drawn to a comment written by my mother congratulating Joan, who is BRAND new to Facebook as of this morning, on her recent marriage (this past August) and then mentioning that it looked as though congratulations were order once again. At this point, my motherly instincts had been confirmed and I just NEW this had to mean that she was pregnant!!! I'm still on the phone with April, in tears (joyful tears! ), and frustrated as to why I was NOT able to locate the afore mentioned photos. "Mom, look in your regular e-mail". I can't, I am still restoring files and the machine is WAY too slow to even attempt to search for an e-mail! "Mom, have you looked in your inbox on Facebook"? Uhm .... oh SHOOT! Why do I keep forgetting about that inbox, I just go to my homepage and work my way from there!!! So I get to my inbox and see a message from Joan titled, "Minnie U " (Uhlig is her married name). My heart was beating quickly and the anticipation of reading her news was more than I could bear at this point. If you had of seen how MANY times I was back and forth through my page, her page and April's page, you'd surely understand how my heart was not beating faster than normal!!! What a sight I must have been! *sheepish grin* What was in THOSE photos????? ROFL! I tell you, we have been ABUNDANTLY blessed with babies over the past two years and it surely does not seem to be slowing down much at all! Little Claire Marie was just born on the 7th to Robert's number two son and his wife and Travis and Joan's baby should arrive sometime in September. The due date will be determined after her FIRST official visit to the OB. She ended up going to the doctor's office (an allergist) where here sister works to get a blood test done to verify the accuracy of the home pregnancy test as she just could not get into the OB's office SOON enough! 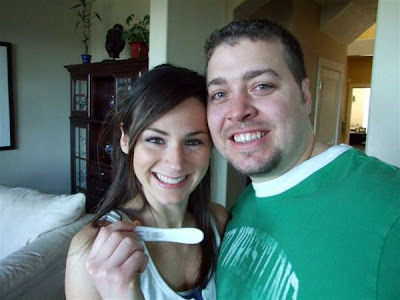 I have been told by medical staff that the home pregnancy tests are actually MORE accurate than the blood tests! LOL! Interesting bit of info right there! Am I rambling on tonight, or what? I'm sorry, but I just HAD to share!!! Oh, HAPPY day! I am rejoicing still!!! A MOST incredible day all the way around! New hope for our new generation! I am attaching the link to Monna's blog to the preview and hope that you will stop by, pick it up and leave her some love and a BIG hello from me!!! Monna has a TOTAL of FOUR scraplets for us from *Sweet Thing* and she will post a new one each Sunday with the last being posted on February 8th! WOO HOO! Thank you Monna!!! I shall be back later tonight OR, most likely in the morning with another goody to coordinate with *Love Me Tender*. Thank you, thank you SO much for your MOST generous and kind comments. It REALLY helps to educate me on what y'all REALLY like and keeps me SOOOO inspired to keep on creating for y'all!!! MWAH! P.S. I meant to make mention while talking about not being able to check my regular e-mails efficiently at the moment, that I hope to have my e-mail coming in on my new computer by this weekend and then I shall start catching up with them! I apologize for neglecting to mention this earlier as I did notice several come in, but have not had a chance to wade through them while the restoration process is still ongoing. My older computer REALLY moves at a snail's pace at this time!!! A ROSE BY ANY OTHER NAME ... IS STILL A ROSE!!! 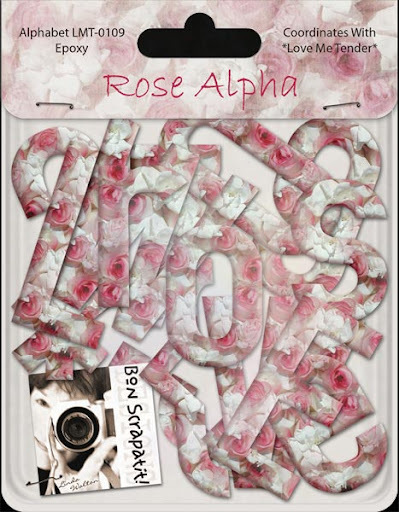 And here is tonight's download, my Rose Alpha! Isn't she SWEET??? ROFL! This coordinating alpha to *Love Me Tender* will also make for a GREAT stand-alone alpha and will lend a little something extra special to MANY of your layouts all-year-round!!! Yes, Valentine's Day, Mother's Day, Birthdays, Engagements and Weddings are to name but a few! I even packed it up in the packaging I used for the VERY first freebie I ever made nearly two years ago. YES, it was an alpha!!! It is AMAZING to look back and see just how far I've come and even MORE amazing to think of how much farther I have to go!!! It's ALL good! I have a few more things to share with you for to go along with *Love Me Tender*, so I hope you are not QUITE tired of it yet!!! I'm off to have a Skype chat with my dear mother and then, hopefully, can get something done with my photos tonight! I am ALMOST finished with the restoration of files from Mozy! I am on the last 25 GB's!!! I had over 200 GB's back up and I already have over 20 GB's backed up on thew new computer. I am sure that Dell is miffed with me at the moment as I've not yet contacted them about the failed drive. I've just not had a moment to set everything up to try recovering the data off of it yet. Perhaps tomorrow. I am running out of outlets!!! I may have to shut down the older computer and unplug it to free up room for the new EHD and the external enclosure. WOO HOO, HAPPY, HAPPY! Have a LOVELY tomorrow and I'll see you soon! *LOVE ME TENDER, PART THREE* AND A FEW EXTRA GOODIES! Well, I seem to be rather exhausted this weekend so I shall not bore you with my usual ramblings!!! HA! We ALL know I can do that rather easily, eh?! Anyhoo, hoo, I hope ya'll are REFRESHED and ready to take on the NEW week ahead! To those participating in the ADSR, I wish you ALL the best as I, personally, know what is involved in an event of this caliber and it surely takes GREAT stamina, creativity and FOCUS!!! You GO girls! 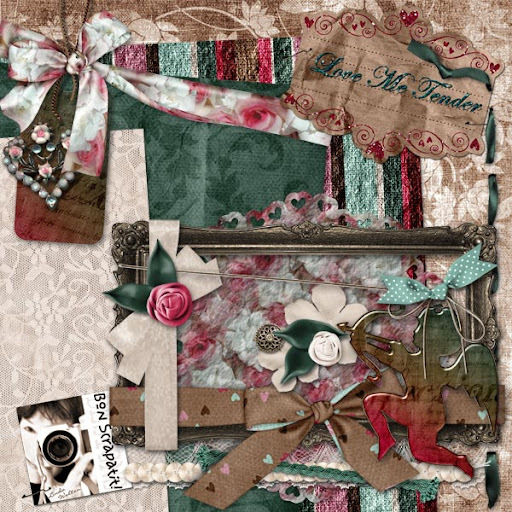 I cannot wait to see some layouts, cards or hybrid crafts using *Love Me Tender*! I've thought about making a few things myself as time allows! I would LOVE to do something for my mama for Valentine's Day!!! Every time I work with this scrapkit, it reminds me of a photo I have of my mom as a babe of about nine months in the arms of my grandmother and grandfather back in 1928! I will share when I get 'er done! Thank you, thank you AND thank you for the overwhelming outpouring of WONDERFUL comments and loving on *Love Me Tender*!!! WOW! WOW! I am AMAZED! Ajila, thank you for sharing the positive report from you DH! I told Robert earlier he would not believe how MANY he has rooting for him tomorrow here in SCRAPLAND! He, he .... THANK YOU! I shall see you back tomorrow with the coordinating ROSE ALPHA! P.S. I erred on the proper description of last nights files for *Love Me Tender*. To avoid any confusion, Download Two contained three background papers, Download Three contained the worn and torn overlay and Download Four was filled with embellishments. Everything was present, I just noted the incorrect sequence of files. Sorry about that! Tonight, you will find in Download Five, four background papers plus one tissue matte and Download Six is ALL embellishments! HAPPY SCRAPPING! *LOVE ME TENDER, PART TWO*!!! Hi y'all!!! I'm just a WEE bit later than anticipated! I had some FABULOUS chat time with several dear designer friends and it was just the distraction I needed from spending TOO many hours looking at the same screen!!! Hope everyone is having a SLOW-GOING weekend, relaxing and enjoying QUALITY time with your PRECIOUS loved ones! Still working on getting my photos uploaded to add to my 2009 Project 365 slide show and, hopefully will catch up on the scrapping of them as well! P.S. There are three separate zip files. 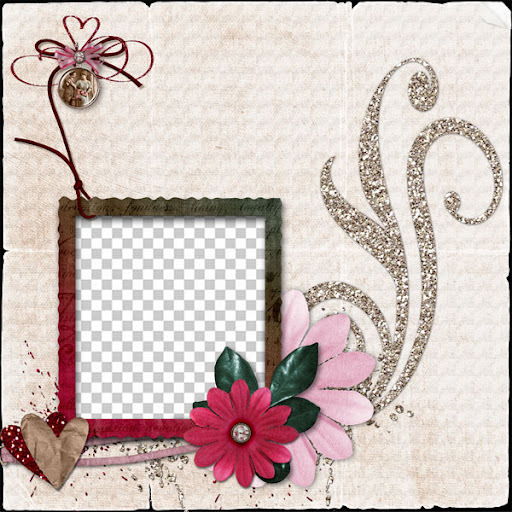 The first is a worn and torn background, the second contains three background papers and the third has 19 embellishments. All files are under 30 MB's!!! ENJOY! IS IT TOMORROW OR YESTERDAY??? MORNIN' Y'ALL!!! Just stopping in to let y'all know that I shall be back MUCH later this morning with the second installment of *Love Me Tender*! WOWSERS, y'all are REALLY liking it I see .... WOO HOO!!! I'm SOOO glad! Thank you for ALL of your LOVELY comments and you just know that when ALL is said and done, I would LOVE to see your layouts, right? *wink, WINK* LOL! It's been a "different" day as I had MANY good distractions today (actually yesterday!) and have also been feeling a bit fatigued, so just taking it easy! Robert is WIDE awake as well and it just would not have a thing to do with the fact that he faces his VERY first audit at work on Monday!!! OH, NO! He is on his laptop listening to music and occupying his mind so a not to dwell on what is yet to come. He agrees, that once he has been through it once and knows what to expect, it'll ALL be good!!! This is an ALL-encompassing audit of ALL of the areas he is responsible for! I have faith that he will pass with FLYING colors!!! So, when I told him it was nearly 4:30 in the morning, he asked, "is that tomorrow or yesterday"!!! My SWEET, SILLY man! Night all, catch you on the flip-side!!! OVER HALF A MILLION BLOG VISITORS AND Y'ALL JUST KNOW HOW TO *LOVE ME TENDER*!!! Thank you SOOOOO much for your FAITHFULNESS and WORDS OF ENCOURAGEMENT y'all!!! You've done THIS girl's heart a WORLD of GOOD and here is the FIRST installment of *LOVE ME TENDER*!!! I will be scurrying about still working on file retrieval (keep your fingers crossed for me!) and shall be giving *LOVE ME TENDER* out in four installments. You will get a mini tonight and throughout the weekend, ending with the SWEET *Rose Alpha*!!! 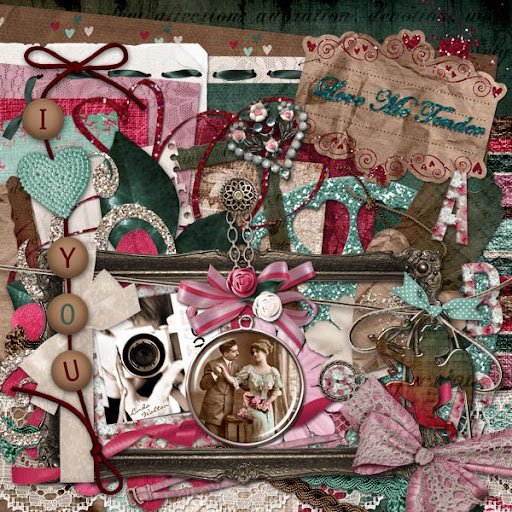 *LOVE ME TENDER*, as with MOST all of my scrapkits, is VERY versatile and NOT just for Valentine's Day! You can scrap ALL of those LOVING moments VERY near and DEAR to your hearts!!! Don't forget the GUESTBOOK!!! It is now located below and I still wish to see your MASTERPIECES y'all!!! Come on now, don't be shy!!! MWAH! I shall be back later on to post a few of my 2009 Project 365 photos!!! YUP, I've kept up with the photo taking, now just need to post and scrap!!! P.S. Due to my recent computer issues and falling WAY behind, *Love Me Tender* will be available here on my blog for ONE WEEK, after which time I shall put it into both of my NEW stores!!! More about that later! DETERMINED, PERSISTENT AND DOWNRIGHT STUBBORN! Y'all must think me nuts by now! That's okay, I think I AM!!! All of this restore, retrieve and back up is TIME consuming and has thrown a bit of a wrench in my conclusion to *Love Me Tender* for which I GREATLY apologize! It turns out that several items I needed were still on Mozy's backup and I had such a HUGE file (we're talking nearly 50 GB's) in the process of being restored that was taking DAYS!!! Anyhoo, it finished yesterday and then kicked into backup mode and I did not wish to disturb it, so upon awakening this morning, I was able to select the needed files to be restored and then moved them over to the new computer! This ALL seems like SO much work now, but in the end, it'll ALL be REAL good!!! I'll have my important files on TWO EHD's, plus MOZY and then I can start burning some DVD's from the new computer! YAY!!! My EHD arrived this morning and my external enclosure yesterday, so once I am finished getting the files together for your GOODY, I shall begin the process of attempting to retrieve the files from the "failed" hard drive! I'm a bit nervous, but then I think that is only due to thinking about getting this kit to y'all ASAP!!! ROFL! Oh, and I actually SLEPT last night!!! I made it to bed by 3:00 am!!! I'm getting a little earlier each day and might actually get myself back onto a decent schedule rather soon!!! WOO HOO! Okies, just had to touch bases with you so you didn't think I'd forgotten or that, perhaps, I'd relapsed back into the flu with the CRAZY hours I've been keeping lately!!! Other than feeling a bit fatigued, I am feeling fine!!! Thank you checking up on me and for leaving me some love - y'all are just TOO sweet ya know! P.S. SHARON, YES, I lost ALL of *Holiday Sparkle* on the failed HD, so here's positive thoughts that I will be able to retrieve all 200+ GB's!!! I've also had several requests for my *Acrylic Frames* with a variety of different colors and motifs and will be working on some of those ASAP! I am SO thrilled that y'all have enjoyed them so much and someone even suggested I add custom made ones to go with each of my kits!!! LOL! I might just toss some in here and there! THANK YOU for ALL of your WONDERFUL comments and requests and suggestions! 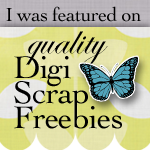 MY NAME IS LINDA AND I AM A DIGI-SCRAP ADDICT! YUP, that would be me!!! I believe I mentioned some time ago that a DIE-HARD digi-scrapper would scrap and/or design until her head hits the keyboard!!! Well, I've done just that TWICE already this week! I kid you not! I was working hard to get everything ready-to-go for your GOODY when I awoke to find myself still sitting in my computer chair!!! Now is this SAD, or WHAT??? I gave it up, went to bed and slept about nine hours, which is three more than my norm! With trying to restore files and getting everything set up to design again, I have to admit that I've watched the sun rise more often than not this past week! SOOO, I am, at this moment, working hard to get this all wrapped up for y'all. I also found myself adding more goodies!!! I am SOOOOO bad! Sometimes I just don't when to stop and I cannot help myself! Okay, nuff babbling, off to grab a bite (not been stopping to eat much either!) and then to get' er done!!! SLOW AND STEADY WINS THE RACE AND A SNEAK-PEEK!!! WOO HOO!!! Okay, I am NOT in a race, but kinda, sorta, know what I mean? I have two stores opening in the next two weeks and I have SOOOOO much to catch up on since the death of my new computer's hard drive and I am working SLOWLY and STEADILY, so that means I should win my race against time, eh? ROFL! I have MISSED YOU something awful!!! Thank you SO much for the input on my BLACK versus WHITE decision. While the poll is still going, and if you have not yet voted, please take a moment and cast your vote! I REALLY do wish to make things as easy as possible for y'all, but after setting up a test blog to see what it would be like with a white background, it just does NOT do my header justice and that header is my LOGO so-to-speak!!! Okay, I just wanted to stop by, let you know that both computers are still backing up and the old one is still restoring and it will most likely take another week or so. My new EHD and enclosure should be arriving in the next day or two so I will let y'all know and you can hold your breath along with me whilst I have a go at retrieving the 200+ GB's of data from the failed one!!! WOO HOO! Pretty soon, I shall be building my own system and standing along side those of you who already are!!! Thank you for ALL of the WONDERFUL advice, suggestions, shares and tech info!!! 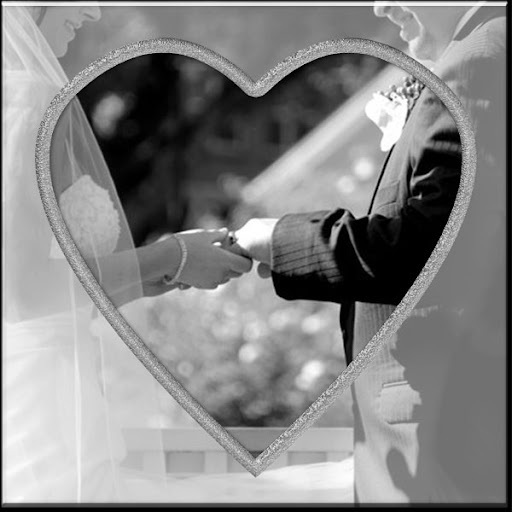 You have helped me TREMENDOUSLY and to show my "appreciation" and as well as to CELEBRATE my making it over the 500, 000 mark on blog visits, here is a little SNEAK-PEEK of what I am finishing up for you and should have zipped and uploaded later tonight!!! I shall be back later with photos for Day 12 and 13, plus your FREEBIE!!! MWAH! I cannot tell you HOW good it is feeling to be making some BIG strides on getting myself back to some form of normalcy in our beloved Scrapland and my designing!!! I am THRILLED that I've been keeping up with my photo taking for my 2009 Project 365 and today's photo is of ALL four of my beloved sons GLUED to Robert's laptop while watching videos on YouTube!!! They even had me glued to it for a short bit as we were watching some of the OLD-SCHOOL break dancing from BACK in the day!!! Mark, closest to the computer screen, could BUSTA MOVE or two not too long ago!!! He is VERY limber and one of these days I shall have to muster up a photo or two I have of him walking with our cordless phone tucked between his shoulder blades!!! TOO funny! All six of my children have inherited various musical abilities and talents, although none of them have really pursued any of them. Mark suffers at a very young age with back and knee troubles. He has NEVER played any contact sports so that does not factor into the equation. I am pretty sure at this point that he has inherited it as Luke, my redhead, also has similar troubles. While I am not sure if I have any photos, I remember my oldest son, Matt (fingers on the touchpad!) at the tender age of four, break dancing on a piece of cardboard in one of our neighbor's driveways with their son!!! I was SO amazed and stood in AWE to watch this SWEET little man gettin' down!!! ROFL! I shall have to dig for this treasure in the near future! The boys all have rhythm to spare! And why does that seem like such a BIG deal to this Mom??? Well, at the age of 16 while dancing with my father at an Italian wedding where you just KNOW the music is flowing, he informed me that I had NO rhythm! That stuck for a while, until I found that THIS girl could BUSTA MOVE or two on the dance floor herself! It simply came down to the fact that I'd not been taught how to dance like my elders and my father was was VERY smooth on the dance floor and I suppose a little disappointed in someone who wasn't going to help his moves along!!! This photo has GREAT significance to me as we move along in 2009 because my boys have all moved into their own places, with the exception of John (standing upright!) and it just blesses my heart to see them ALL gathered together in our home! It's moments like this that are SO rewarding and shall be EVER so treasured as I see/hear their personalities meshing together, hear them laugh, get stern with one another when passionate about something and always leave each other with a special brotherly good-bye! And yes, REMEMBER, my Christmas/Winter decor stays up throughout the month of January!!! He, he ... I even took a few snaps of the boys in front of the Christmas tree just in case I've lost our Christmas photos!!! Ya NEVER know, eh? ROFL! P.S. I've been noticing that my photos have been looking VERY grainy the past several months. I've check my camera to make sure that it is in FINE mode and have actually set it to the FINEST, but they still look grainy and come up at 72 dpi in Photoshop. I ordered a new XD card along with my EHD and enclosure to see if that remedies the problem. If not, then I guess I have to assume it is the camera itself and if that be the case, then I REALLY have a GOOD excuse for pursuing a new one!!! Any one else experience this same dilemma resulting in poor picture quality? I'M ALIVE, I'M ALIVE!!! NUMBER FIVE IS ALIVE!!! IS HARD DRIVE FAILURE CONTAGIOUS, OR WHAT??? DAY 5 - 2009 PROJECT 365 AND GUESS WHAT IT IS!!! MORE GLITZY GLITTER AND PROJECT 365!!! AWESOME!